It is very true that Stan tended to write him as a villain. Around the time that Stan & Jack did their last Doom story together in FF 84-87, things changed. Recall at the end of #87, Doom just calls it all off and says the FF are free to leave. He had just killed his assistant Hauptmann for endangering his art collection with a flame thrower. Surprisingly, Reed agrees to leave without further incident. Maybe because they did come in a spies sent by Nick Fury. 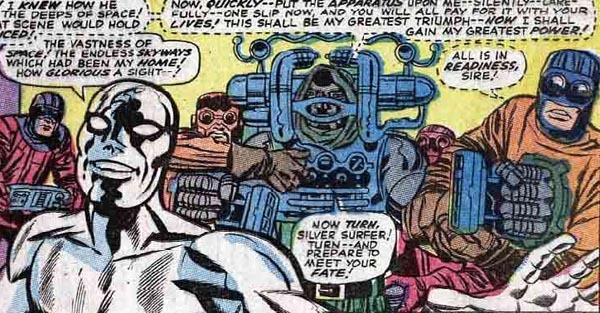 But just prior to FF#87 came out in June of 1969, the first Doom solo story is released in Marvel Super-Heroes #20. It was plotted and co-written by Stan's brother Larry Leiber with Stan as the editor. The following year, Doom gets a solo series in Astonishing Tales. The next time Doom appears in the Fantastic Four, he fights on the side of the Fantastic Four against the Overmind. The story was written by Archie Goodwin with Stan as the editor. Stan had written the earlier issues of the arc so one can assume he had a hand in plotting also. So we can see here that Stan was most likely the one push for more of an anti-hero kind of characterization. Stan is pretty notorious for having a bad memory but he has been consistent in saying that he doesn't feel Doom is not purely a villain at least as far back as the first Fantastic Four movie. I think I have an issue of Back Issue magazine where he also makes this statement.